So packed with patented fabric technology that we’re (almost) surprised that there is room for your feet, X-Socks Ski Radiactor Ski Socks are designed to allow you direct contact with your skis, so you can push your limits knowing that there is a back-up system of superior comfort and support for you throughout your socks. Air flow channels, natural Merino wool and fine, moisture-disseminating and bacteriostatic xitanit fabrics keep you warm yet dry. Xitanit reflects radiant heat back and assists in reducing blisters, along with a network of strategically-placed pads and protectors from calf to toe. The innovative cushioning system permits some pads to move independently, keeping them actively engaged on the legs and feet. X-Socks’ usual array of left and right-specific anatomically shaped footbeds (to complement the form of each foot and support the natural shape and movement) feature, as do X-Cross stabilising bandages to reduce stresses on tendons and muscles, hollow-core Robur fibre cushions and pads, shin and calf defences, plus their self-adjusting cuffs, provide a fantastic, almost custom fit on any leg without slipping or constriction. 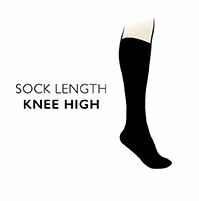 These ergonomic X-Socks Ski Radiactor with Xitanit Technology Skiing Socks will ensure your comfort and performance on the slopes, keeping you warm, dry and protected from unwanted aches, pains, blisters and chafing.